Cloudy. A stray shower or thunderstorm is possible. High around 70F. Winds WSW at 10 to 15 mph..
SPOKANE, Wash. — Northwest Farm Credit Services has named Doug Robison as Idaho president, replacing Blair Wilson, who retired after 40 years of service to the company. In his new position, Robison will lead the Idaho lending and insurance team and will serve as a member of the company’s management executive committee. He will also lead the University of Idaho relationship team. 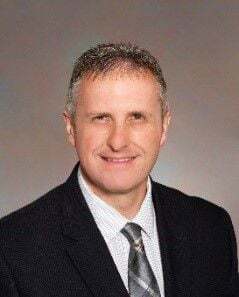 Robison was most recently senior vice president of the western Idaho region — serving primarily dairy, potato, sugar beet, livestock, processing, small grains and forage crop producers. Previously, he worked in a variety of lending roles in the Twin Falls, Burley and Idaho Falls branches. Robison holds a bachelor’s degree in business management from BYU Idaho and a master’s degree in business administration from Idaho State University. He is also a graduate of the Pacific Coast Banking School and the Leadership Idaho agriculture program. Robison will continue to be based in the company’s Twin Falls branch. BURLEY – Northwest Farm Credit Services has awarded the Cassia County 4-H Volunteer Council in Burley a $1,000 Northwest FCS Rural Community Grant.